I’m a worrier, like a lose hours of sleep kind of worrier. Everything just seems a little more life or death than it actually is at two in the morning. But that’s just me. I worry. I’m at a time in my life where I, and those around me, care so much about things that, bluntly put, are so dumb. I’m at a time in my life where the opinion of someone can hold me under the captivity of extreme anxiety. I’m at a phase where I care about the gossip spread about me, even the lies. I’m at a phase where tension between me and a peer can suffocate me. I’m at a hard and opinionated phase. Last semester wore me thin. I worried about things worth my worries like my friends, and my family, and school, and summer jobs, and whole semester projects, but I also worried about things not really worth my time, and this took away from the things that were. I am a firm believer that we don’t have an unlimited capacity of cares. We’re human, and we’re limited on things. The majority of us can’t run 100 miles in one shot, because we’re limited on the max amount of energy we can have. We can’t study calculus for 57 hours because we’re limited on the max amount of focus we have. We can’t efficiently care about those we love when we’re busy being ripped away by the cares we place in hatred, anger, and spite. It took a decent amount of hurt and loss to understand the ridiculousness of the things I was choosing to care about. I was worried about petty girl drama when there were real issues happening to people close to me. 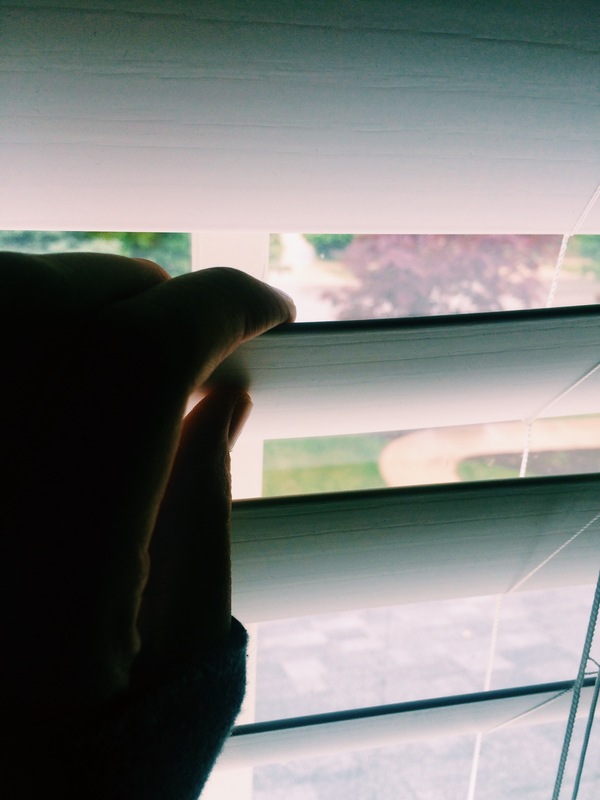 All around me there was cancer, and Alzheimer’s, and depression, and personality disorders, and hurt, so much hurt. But my cares weren’t with the people who deserved them. I was pouring my cares selfishly into situations that would drain me and keep me from being there for people I love. 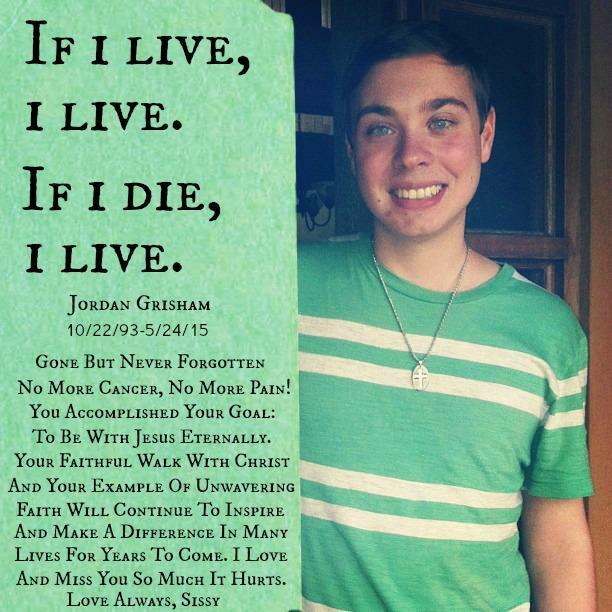 Jordan Grisham is a beloved hero and friend of so many in my community. He passed away from a long fought battle with brain cancer this past Sunday, May 24 at 10:10pm. Jordan fought cancer for years, but he was never “the guy with cancer.” He didn’t ever care about his cancer, at least not in the way many of us would. Cancer was just another thing to him. But people were his love, and they are who he chose to pour his cares into. I think many would agree that if you texted Jordan to check on him, the conversation would very soon be focused on you. It would suddenly be about how you were doing, how your schoolwork is going, who you are dating. He had every right in the world to care about no one but himself. He had every right to care about the fact that others were wasting health that he could have done so much with. He had every right to worry about the friends who dropped him along the way. But he didn’t have room to care about that stupid stuff, because he loved so many, so deeply, and he cared about other people with every inch of his being. Gosh, I lack this. My cares are so often prioritized poorly, and when I do this I deprive people my cares, and I deprive myself the feeling of pouring my cares into pure and deserving souls. Who cares that a few people who listened to the petty lies of a petty person think you’re unkind. Who cares that your ex is dating that skimpily dressed girl you always knew he had a thing for. Who cares about the knives you’ve already pulled out of your back, or the people cruel enough to put them there? I’ll tell you who cared. Me. For way too long I cared so much, but one day I saw that a sweet sweet soul had passed, and I realized that it had been so long since I’d offered him a much-deserved portion of my cares. I had given them to people and situations that didn’t deserve them. And this is when I realized that cares are valuable and numbered. Join me in sharing them wisely. Let us try to discern the receivers of our cares. cover photo by Chelsea Sweet.